The Mark Cheney Team are excited to present to the market this stunning ex display show home, nestled between other quality properties on the prestigious ‘North Harbour Estate’. Family excellence is elevated to new heights in this luxury stylish residence, where stylish display home quality inclusions ensures this wonderful home is that little bit special. Why build when all the challenging work and high-end finishes have been done for you! Once inside this superb home you will be sold. This is a designer built property by the award-winning builders ‘BOLD’. The builders of this residence (Vienna) are the national winners in the housing industry association (HIA) 2018, and awarded the top QLD builders for the last three years running. 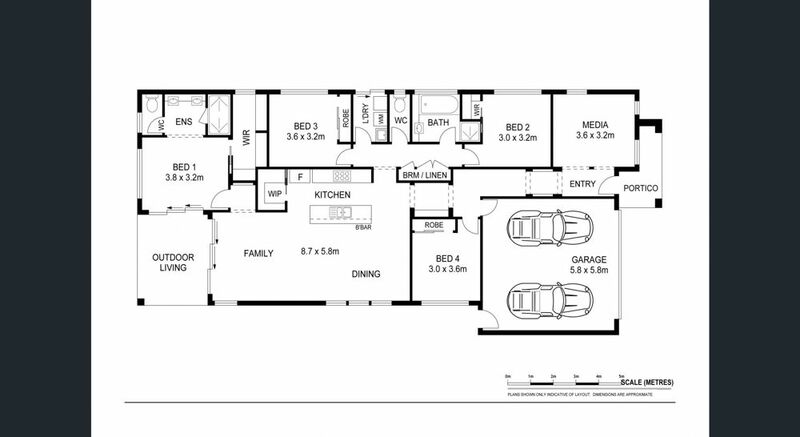 The home boasts zoned ducted air-conditioning, making relaxing inside on those hot sunny Queensland nights a breeze. The living, dining and kitchen areas flow beautifully in this spacious home. For the larger family there are two living areas, relax in the formal lounge or watch a movie in the media room, the choice is yours. Now to the hub of the home, this truly remarkable kitchen, this will certainly have the master chef in the family ecstatic. With an ultra-modern design and stunning 40mm stone bench tops, 900mm freestanding gas cooktop to the walk-in pantry and high-end finishes, this really is an entertainers delight. The home provides an alfresco which spills out from the dining area, offering a fabulous spot to entertain with family and friends in this lovely spot. Burpengary East is a wonderful place to live, away from the hustle and bustle yet minutes to the Bruce Highway making the commute to the city and the Sunshine Coast a breeze. Please contact a member of the team for an inspection.